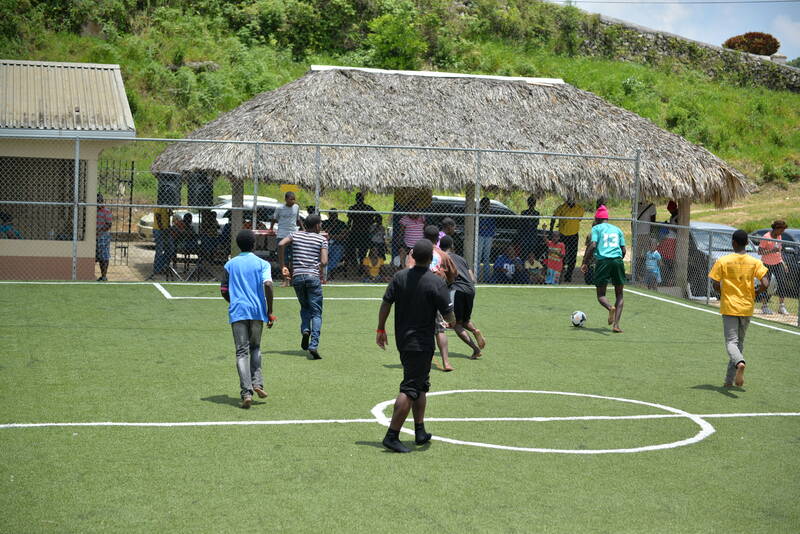 Residents of the Mount Olivet Boy’s Home and members of the JIS family, participate in a game of football at the annual sports day, held on April 25, at the home in Walderston, Manchester. It was all smiles for the residents of Mount Olivet Boys' Home, when Jamaica Information Service (JIS) staff and friends of the agency assembled at the Manchester-based facility last Saturday (April 25), for the much anticipated annual sports day. It was the first of three planned visits to the home by the JIS for 2015. The home, located in Walderston, was adopted by the agency in 2009 and remains its main corporate social responsibility project. The boys, decked out in their house colours (blue, yellow, green and red), quickly joined their JIS team members to compete in events including sprints, relays, sack race, football and tug of war, bun eating, and lime and spoon race. 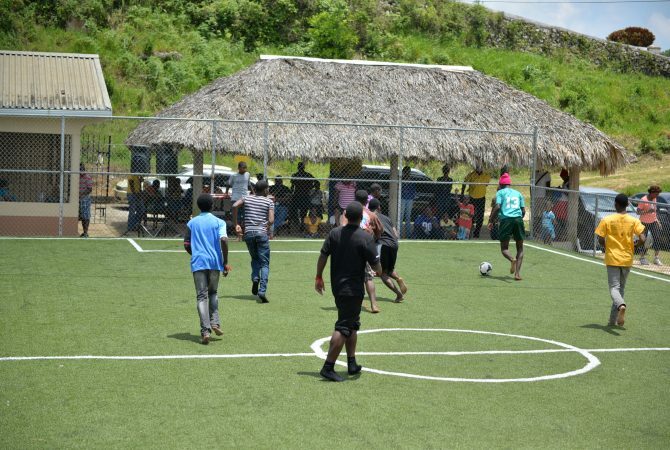 It was all smiles for the residents of Mount Olivet Boys’ Home, when Jamaica Information Service (JIS) staff and friends of the agency assembled at the Manchester-based facility last Saturday (April 25), for the much anticipated annual sports day. “I want to play in all of the activities, especially the bun eating contest,” one eager green house participant and ward of the home said. Assistant Director at Mount Olivet Boy’s Home, Dionne Harriott, told JIS News in an interview that the boys have been very anxious about the day. “They look forward to when JIS comes for the fellowship, the fun, competition and generally a grand time. They have been accustomed to it for the past four years, since 2010, and each year they react the same way in anticipation,” she said. 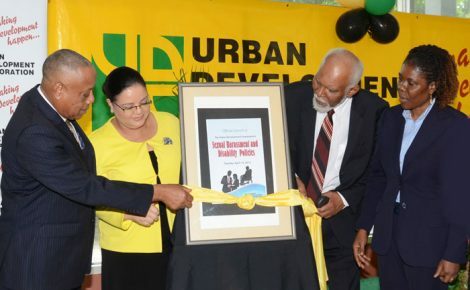 Ms. Harriott said she is particularly grateful for the camaraderie as it contributes to the holistic development of the boys, which the home seeks to provide. “The activities, today, helped to provide a good experience for them to develop good sportsmanship and how to spend family time. Some of our boys have not met with their families for a while, so it is good that they get a day or two when persons come in and help them to have fun,” she shared, adding that the boys are always grateful for the time spent with the JIS family. “As the society often calls for us to go back to when a village helped to raise a child, we must thank JIS for their partnership with us to raise these boys,” she added. JIS employee, Akeno Herron, who is a former resident of the home, said he visits every year and intends to continue. “They are my family so I have to visit and catch up with them and see how they are doing. When we come here, it gives them hope; it gave me hope,” Akeno shared. Student at the Edna Manley College of the Visual and Performing Arts, Deidre Barrett, who is a supporter of the JIS project, said she loves the fellowship with the boys, especially on sports day. “Our visits remind them that somebody is always there for them no matter what and they always look forward to seeing us. I think that gives them some sense of security,” she said. Sports Coordinator for the event, Desmond Campbell, said that the activities were organised to ensure the full involvement of the children. “We chose activities that require little endurance because they are children and we wanted all of the boys to participate. We have been doing sports day for four years now and this one is the best yet,” he said. Special Projects Manager for JIS, Andrine Davidson noted that the day’s activities provided exercise for the mind and body in a structured manner. 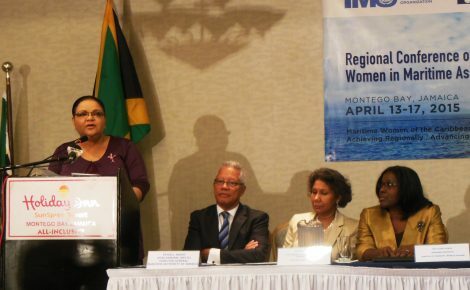 She expressed special thanks to Maxfield Bakery and Lasco Distributors, which provided refreshment. 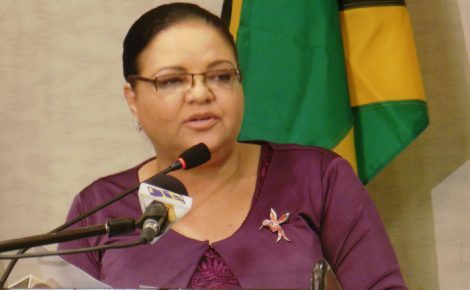 “They have come on board and supported us in a big way, and we are appealing to other companies or persons who are interested in the future of Jamaica’s children to come on board with the JIS,” she pleaded. The JIS team will next visit the home in August for back to school preparations.